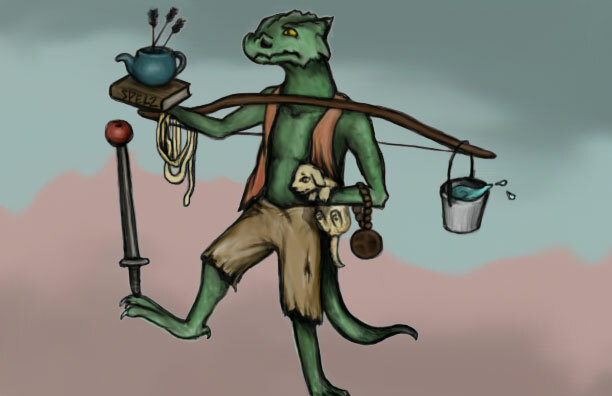 Why do we all hate kobolds so much? It’s just a matter of course that in every fantasy rpg you play your first level adventurers will go out and murder a couple dozen kobolds, collect their loot, a bit of experience and move on to bigger badder things. 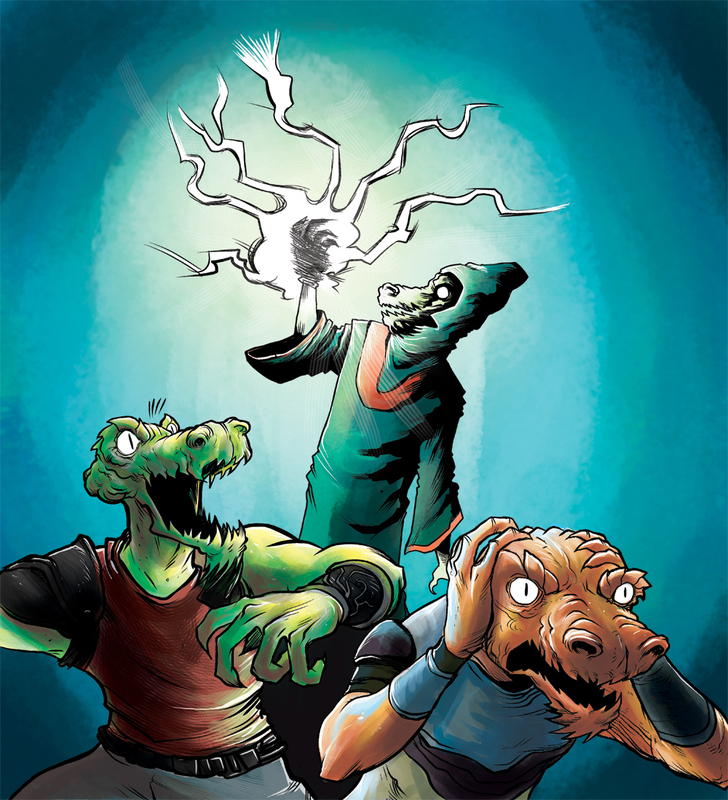 Ever wonder what the kobolds thought about all this? Ever think maybe all those kobolds aren’t the bad guys we make them out to be? 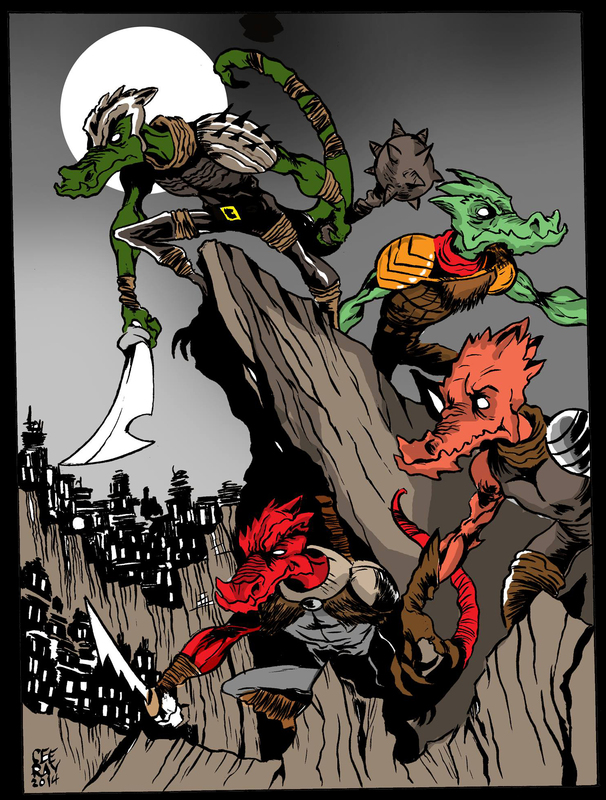 Well No Country For Old Kobolds is built to explore the world through their eyes! Sometimes this view of the world can be comedic, sometimes heartbreaking, sometimes heroic. No Country For Old Kobolds is a tabletop pen and paper rpg based on Dungeon World by Sage LaTorra and Adam Koebel and World of Dungeons by John Harper. While it maintains some of the core mechanics of these two games it has been heavily modified to better model the world of kobolds. You'll play champion kobolds - the best of the best - protecting your village from the kingdoms that you created during game setup. As your kobolds die they pass traits down to their children, each generation getting stronger and more capable! You'll fight for your village in a game of survival, heroism and black comedy. Shared Characters - All players share the village character. It’s the central character and the only one to advance via XP! Generational Play - You'll play multiple generations of kobolds, in No Country For Old Kobolds your player characters actually advance by dying and passing on traits to their young! Player Created Worlds - Each player will create the kingdoms that surround the village, they'll also come up with the reasons why those kingdoms hate your village! Mission and Story Driven Play - Gameplay is both mission - fulfilling village needs, and story - working to undermine the surrounding kingdoms and create better positioning for your village! Death Mechanics - Even after death you'll be able to contribute to combat and help your fellow Kobolds complete their missions! Multi-Level Play - No Country For Old Kobolds features multiple levels of play to model just how small and weak kobolds actually are. The three levels of play are kobold, unit and village. Each of these have slightly different rules, moves and mechanics!